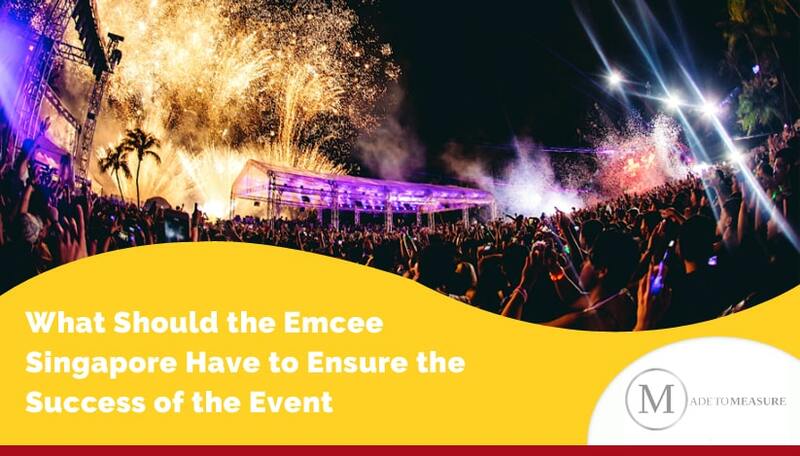 What Should the Emcee Singapore Have to Ensure the Success of the Event? An emcee has the power to make your event a big success, or destroy it completely. Any Event services Singapore may or may not do a good job. But a great emcee from MTM Events ensures the success of your event and keeps it running seamlessly so that the event leaves a lasting impression that your guests want to talk about. The emcee will set the tone for the entire event. There are many times to be serious, and many times to have fun. It is thus important to find a good balance to set the tone for the event. A good emcee will be able to read the crowd and set the correct tone for the entire event. Sometimes, emcee confronted with a crowd that it seems just won’t listen, no matter how hard Emcee tried. then. Sometimes having a DJ is essential because he manages the crowd with energetic music and gives time to Emcee too for some break. The worst part is that if an emcee wants to be doing will be to mumble to himself while on stage. Sometimes when one has stage fear or feel nervous on stage, this will tend to happen. If emcee mumble on stage, then it will not be able to reach the audience effectively. Always be addressing the audience, like talking to each member of the audience individually and try to maintain eye contact with the audience while projecting the voice. Before the start of an event, the audience will be wondering about the proceedings of the event. If emcee does not answer these questions, they tend to become distractions that prevent audience members from giving their full attention. It is very important to ensure that emcees are aware of their audience at all times. Singapore is very populated by highly cultured Chinese people; it is essential that the bilingual emcee understands how to handle their speech with respect to the prevalent cultural beliefs. They should be sensitive to the culture and beliefs of the guests in attendance at the event they are officiating. A boring event is a huge let down no matter the time or place. It is all up to them to do their best in keeping the guests from getting bored. MTM Events provides an experienced emcee.They know how to read the crowd’s mood and ensure that they keep them properly engaged at all times. By keeping the guests interested and engaged in an event, it will be highly entertaining and memorable. An emcee can make or break your function. Getting a great master of ceremony is pivotal for the success of an event, big or small. Emcee Singapore having the great responsibility to ensure the event goes smoothly. An emcee works closely with event planners and coordinator in an event. 5 Ways hosting a Corporate Party can Boost your Business Presence. Emcee Singapore – Make Your Event Exciting!